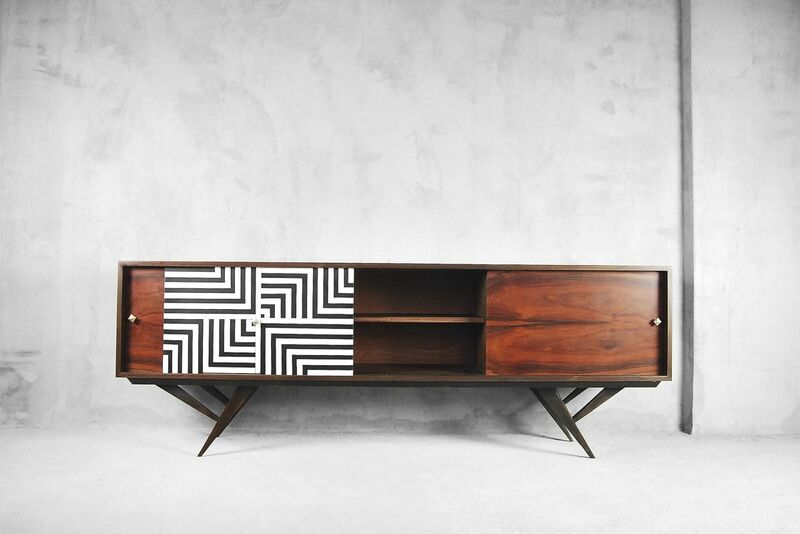 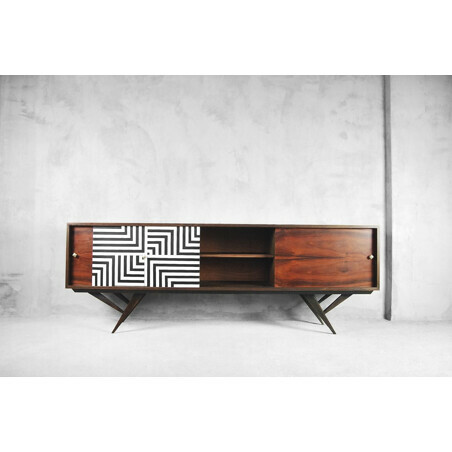 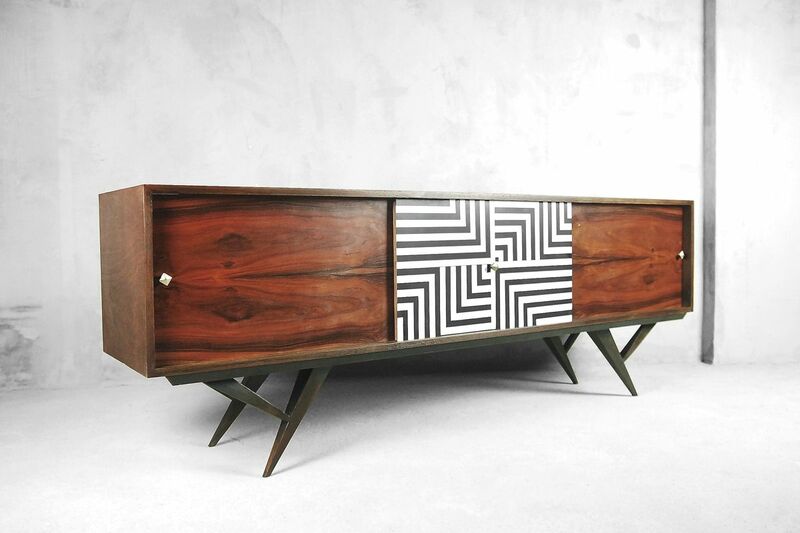 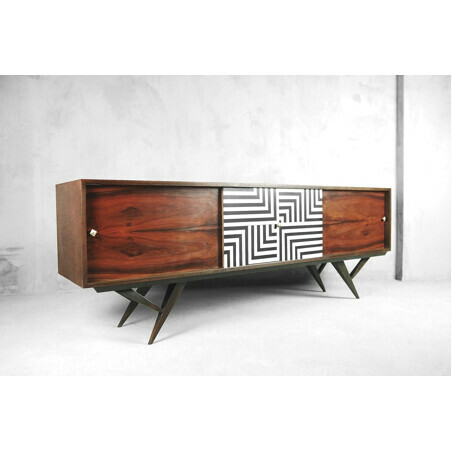 This organic-shaped sideboard was manufactured in Scandinavia during the 1960s. 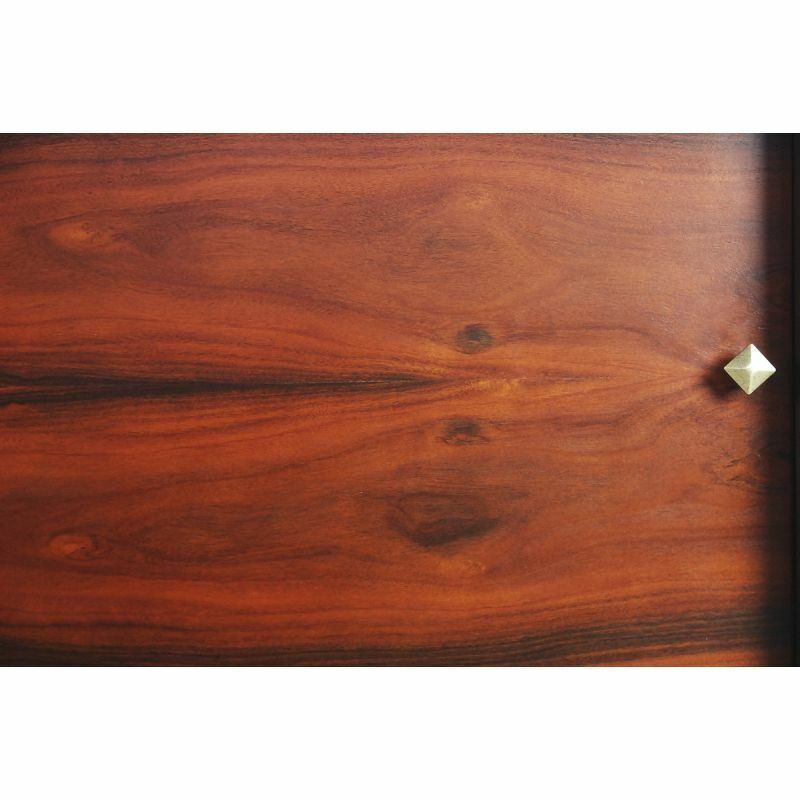 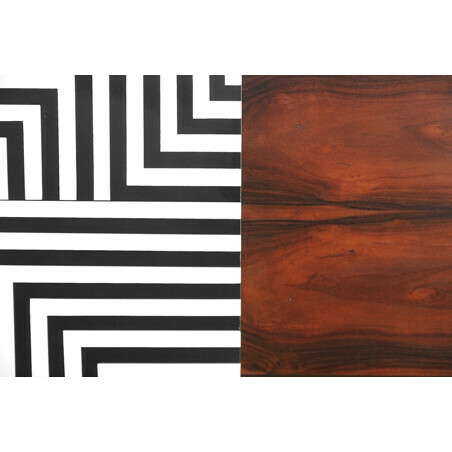 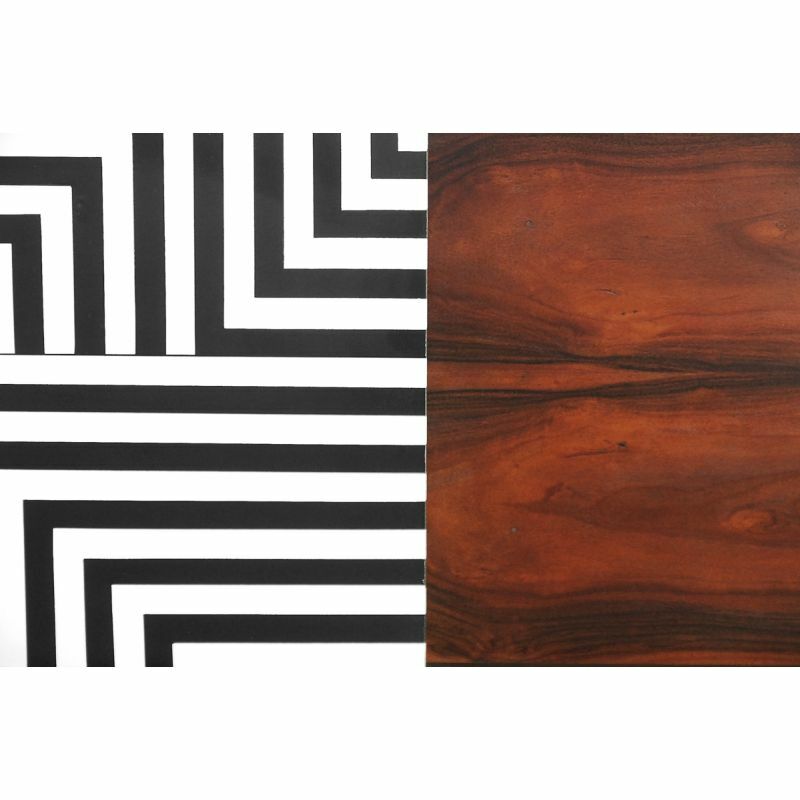 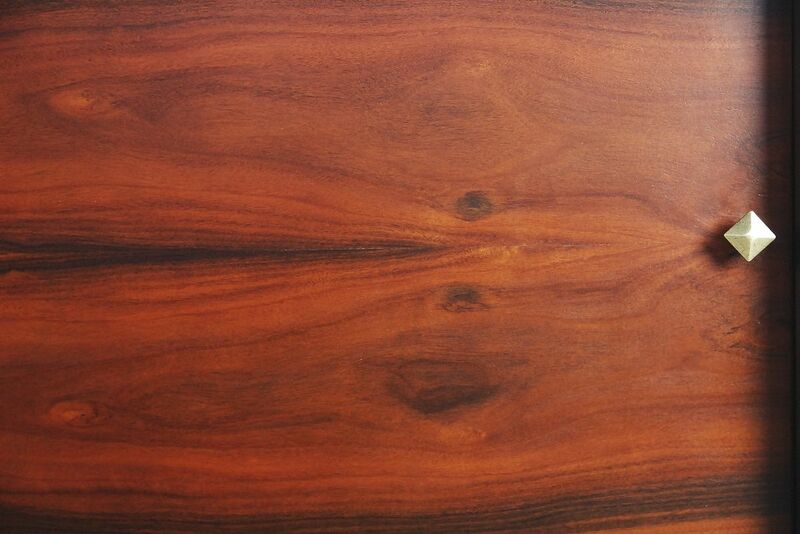 It has three sliding doors finished in rosewood with strong grain. 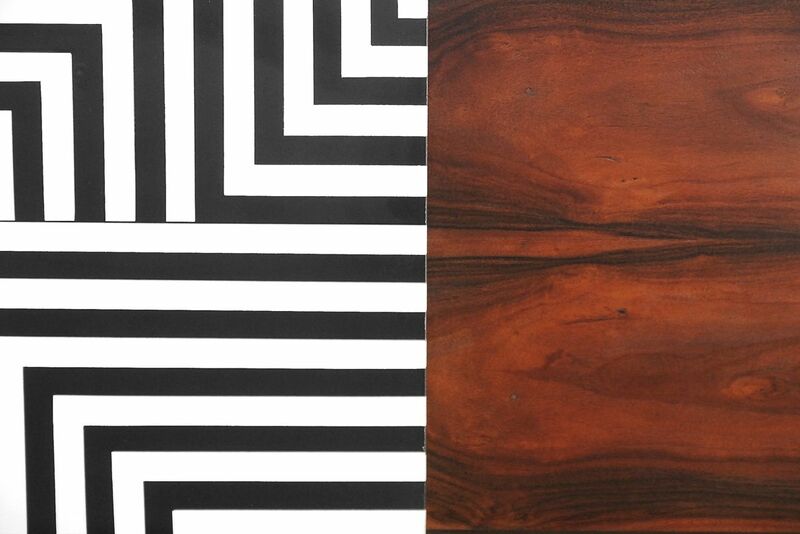 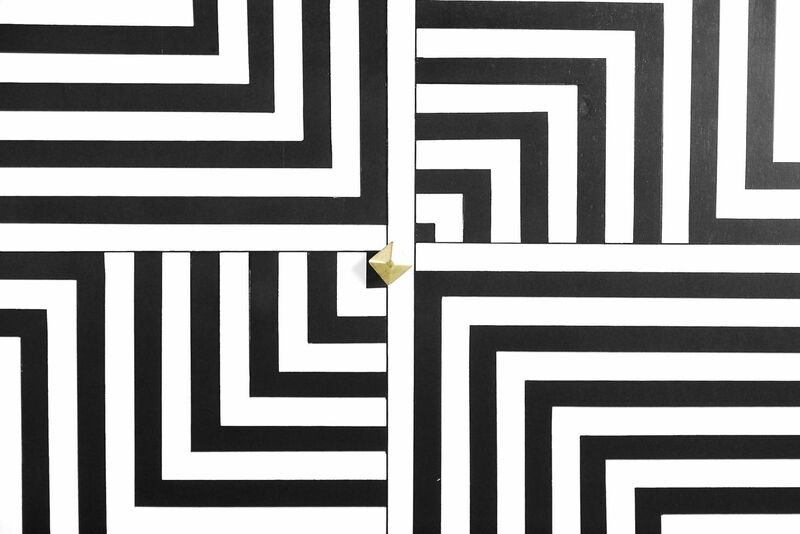 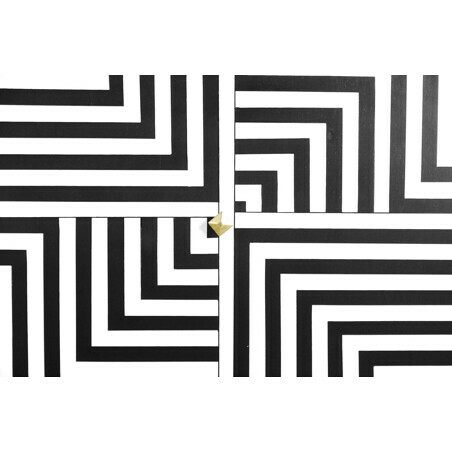 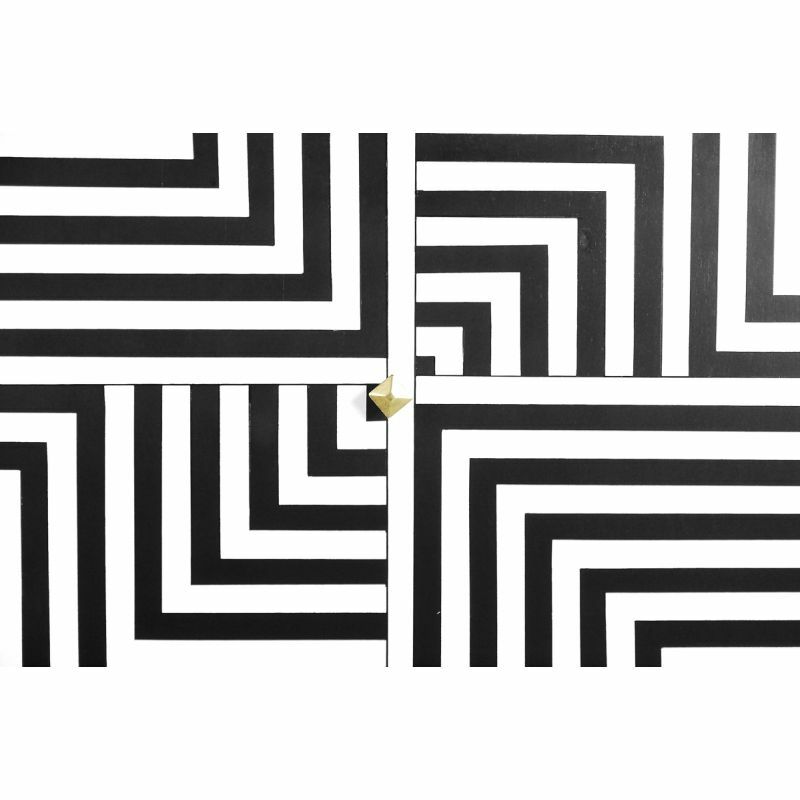 The middle door has a hand-painted pattern in black and white. 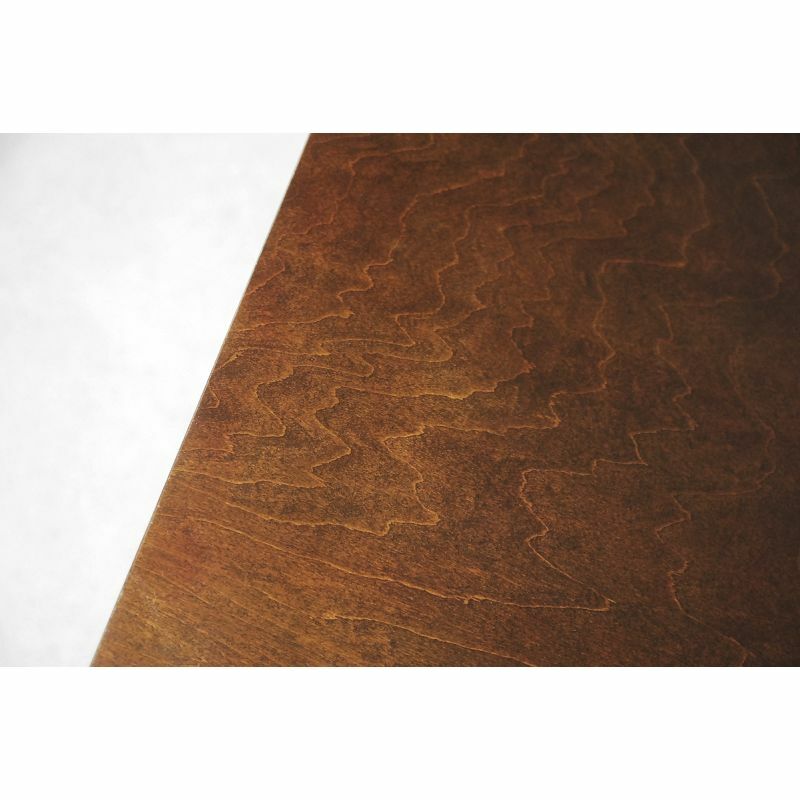 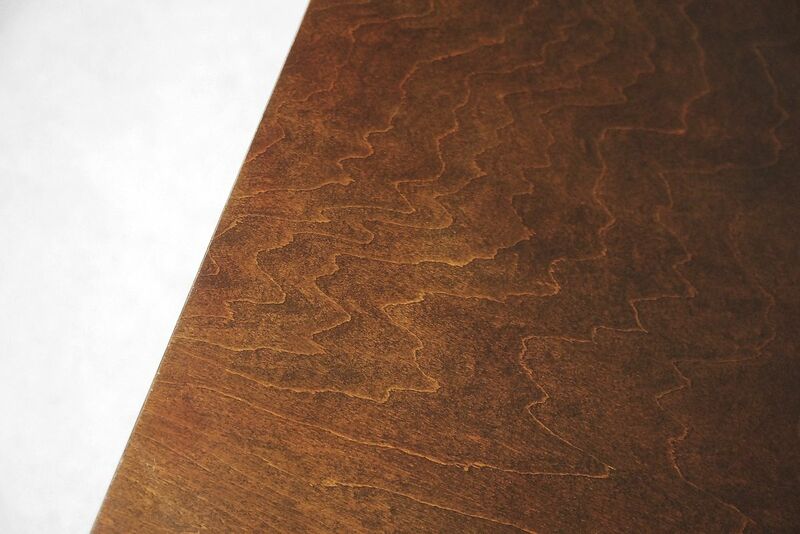 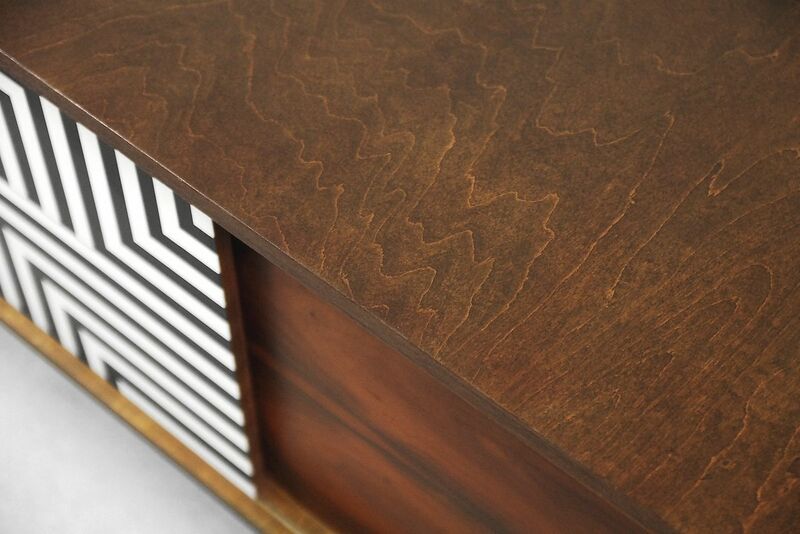 The case was finished in walnut wood in deep brown color. 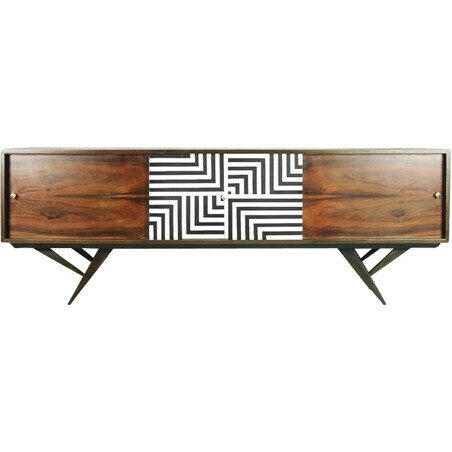 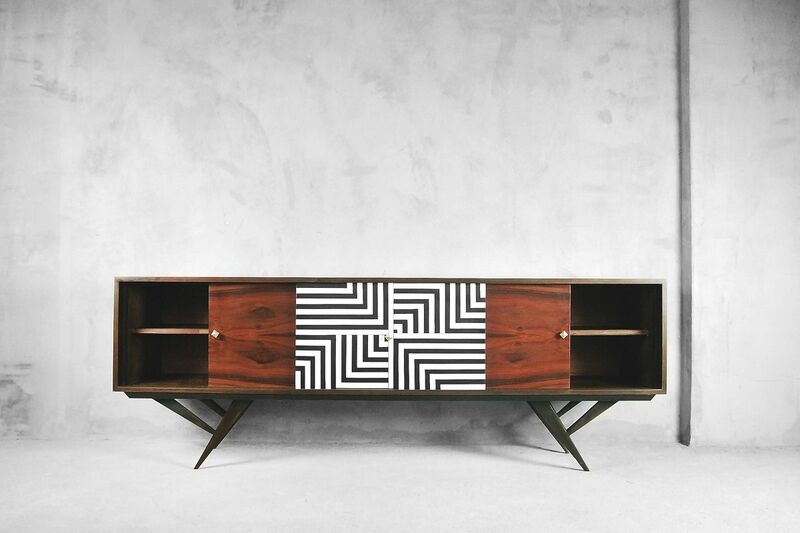 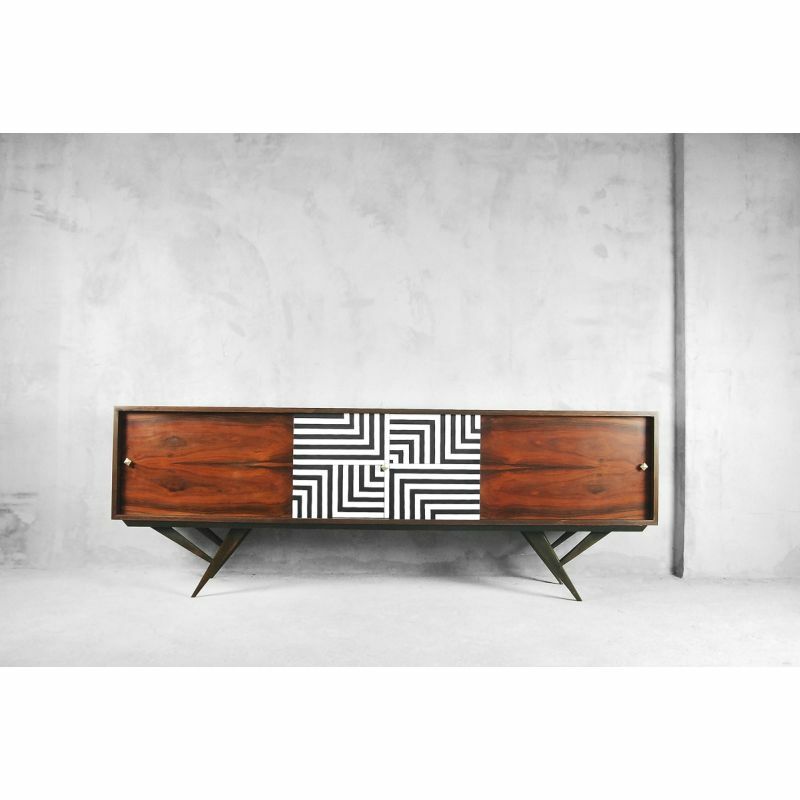 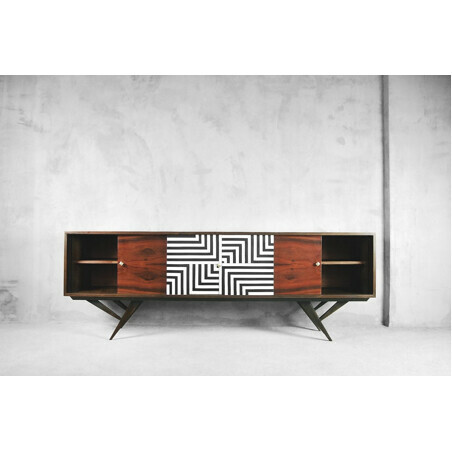 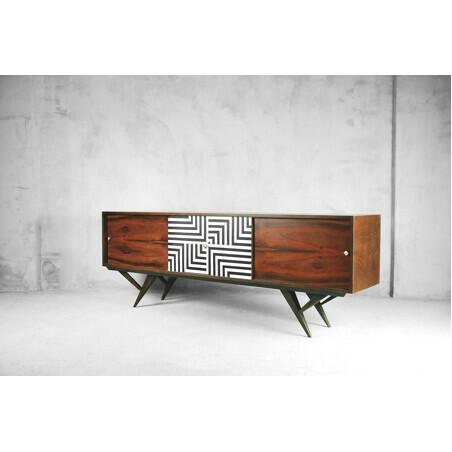 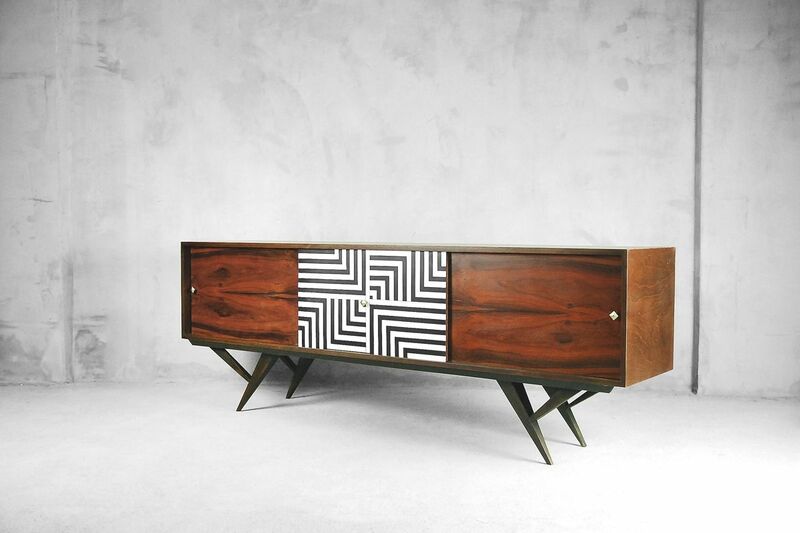 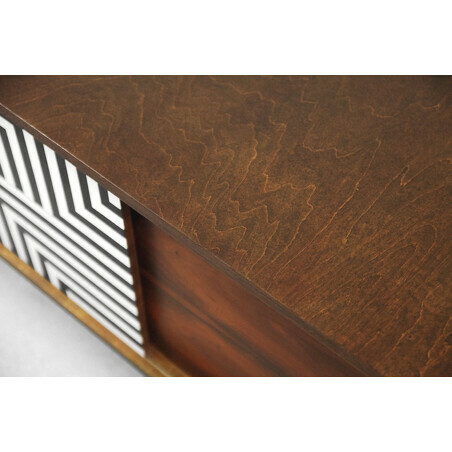 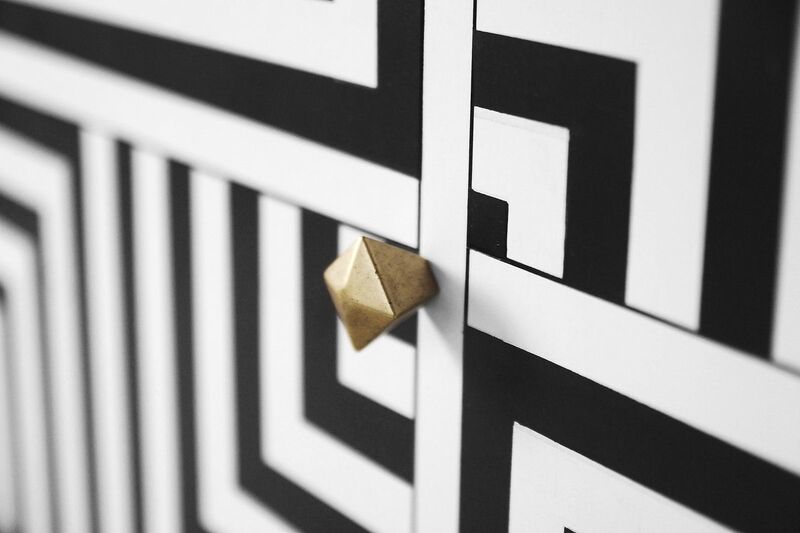 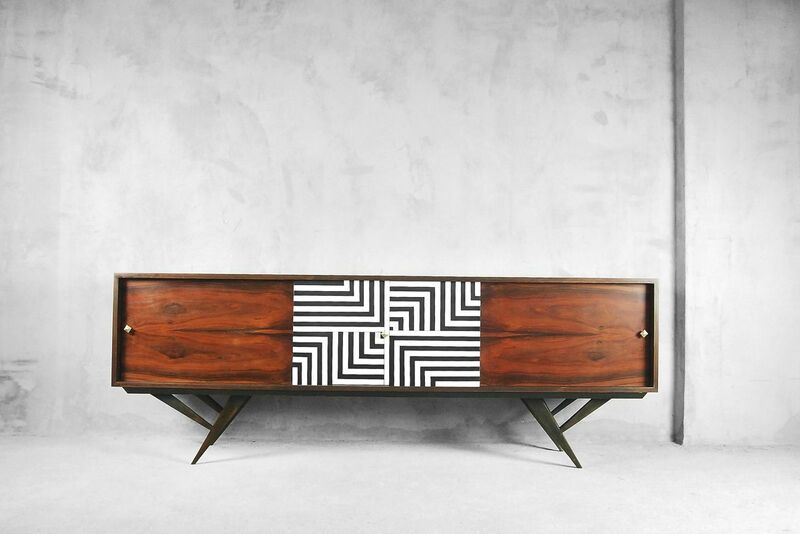 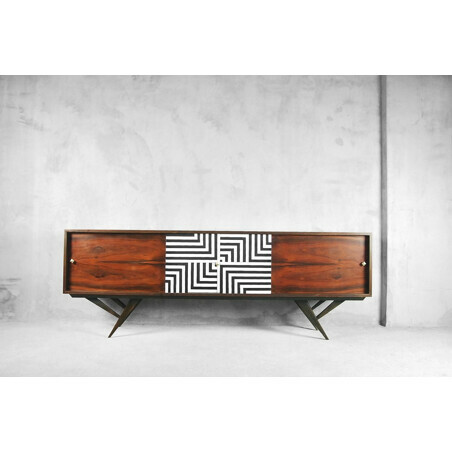 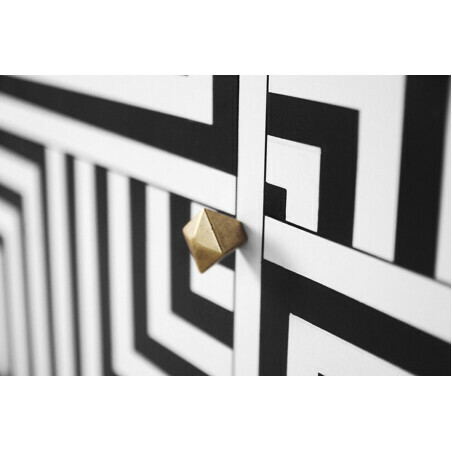 The sideboard has a mid-century style brass handles. Partially restored, in very good vintage condition.